Is Apple-style service the way forward? My name’s Rob and I love Apple Stores. If I’d shared this confession with friends a year ago, my fondness for ‘un-British’ standards like ‘great atmosphere’ and ‘knowledgeable staff’ might have caused uproar. Now that the Apple Store has topped our Which? high street shops survey for the first time, it’s good to know I’m far from alone. After more than 11,000 consumers rated the shops they love and hate in our survey, people liked the Apple Store’s ‘unique look and feel’ and praised its ‘great customer service’. 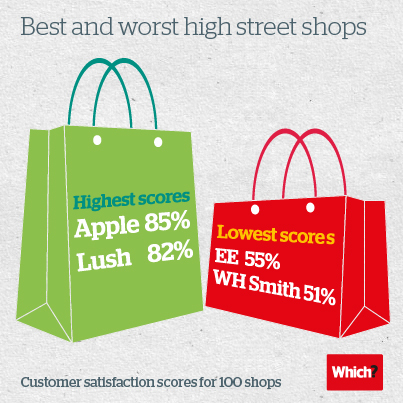 At the bottom of our survey is WH Smith, which our survey respondents described as ‘messy’ and ‘expensive’. 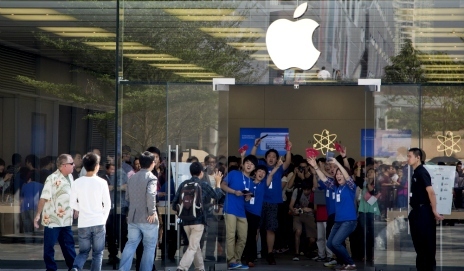 Admittedly, there’s a lot to mock about Apple Stores. Clapping your customers after they’ve bought a new iPhone on its launch day is a step too far in my opinion. The high prices you’ll find for basic items like USB-to-iPad cables can also be tough to stomach. To its credit, Apple justifies this premium reputation with top notch customer service. When I went to buy my first ever iPad, I knew I wasn’t going to get it cheaper online, so I headed down to an Apple Store to see what the fuss was about. I got to test out the tablet I wanted, chat to a sales assistant about what case would be best for it, and I had a play on the new MacBook just because it seemed like fun. It’s hard to recall which retailer offered this kind of experience before Apple came along. Rather than representing an Americanised vision of retail utopia, I see Apple Stores as offering a return to the traditional roots of independent shops. No wonder they also came first in the electricals category of our survey. When I hit the high street with cash in hand I want to be greeted by a chipper equivalent of David Jason in Open All Hours, rather than a stuck up Captain Peacock from Are You Being Served? In lots of small independent shops, the assistants usually have time for a casual chat to help you make the right purchase. Elsewhere, you’re likely to be greeted by a dour employee who’s visibly counting down the hours until closing time. That or an infuriating self-service machine which is permanently accusing you of tampering with its bagging area. It’s just the plastic bags. It’s invariably the plastic bags. This is why I appreciate frequenting Apple Stores like no other shop on the high street. They’re a pleasure to spend time in. Admittedly, I don’t often have the money to buy a brand new iPad, but this makes visiting an Apple Store just that little bit more special. I don’t need Apple Stores. There are plenty of users who are keen to show off their latest Apple products and let me play with them. I don’t need help from Apple Stores either. There are many users who post helpful information on websites. What I appreciate about Apple products is that they are easy to use and reliable, at least in my experience. I wish I did not have to support the expensive marketing and Apple Stores, and to be able to pay less for the products. What is an Apple store…. a shed?? There is a pear of Apple Stores in Manchester. What’s wrong with EE? The stores around Greater Manchester are absolutely brilliant and have always (as T-Mobile until recently) given us excellent service. Shopping in an Apple store is my idea of a nightmare, but that’s probably because I much prefer an online shopping experience, where I don’t have to talk to sales staff or spend ages browsing products, I can just search, find what I want, and buy it quickly. I’ve been dragged into various Apple stores by enthusiastic techy friends, and although they’re shiny and clean on the whole the fact that they’re usually packed with people really puts me off. I guess you can’t hold it against a brand for being popular, though! I can see why customer service makes a big difference, though – there’s nothing more frustrating than going into a shop and being greeted with staff who just don’t care about helping you out! Some people are missing the point here. It doesn’t matter if you prefer to shop online, the survey is about STORES. I love living in the Algarve and the Portuguese are just great people – but if you want to see how bad customer service in stores can be, just visit here. It’s simply not on their radar and is only just starting to change in our severe austerity. And I LOVED being in the Apple stores in UK! Obviously you never shopped at the tech shops on the Tottenham Court Road. I came to this page by clicking on a link to a survey of stores. All I can conclude is that this is a wonderful advert for Apple and makes me wonder whether Which? 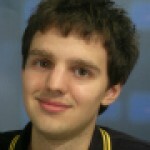 is now getting paid by providers. This does not appear to reflect the true independence of Which? I shall now be cancelling my subscription to Which? What we do here on Which? Conversation is to start a debate in inspiration from our research. We take one individuals point of view to start that debate. In this case, it’s Rob’s love of Apple Stores. As you can see, in the debate is another Which? person who hates Apple Stores.